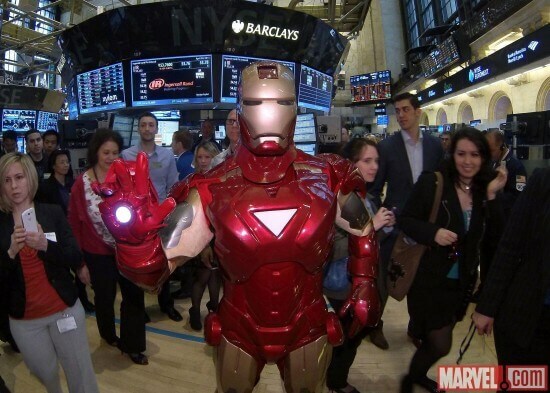 Ringing this morning’s Opening Bell at the New York Stock Exchange was none other than Tony Stark himself, Robert Downey, Jr., with Iron Man and Marvel’s Glenn Magala, Peter Phillips, Jackie Phillips, Alexis Sweeting, Bill Greenbaum, Pam Singh, Vitoria Lee, Assad Bokhari, Eric Feitelson and David Engel. Marvel’s “Iron Man 3” soars into theaters and IMAX 3D this Friday, May 3. More images of this morning’s event can be seen on Marvel.com. Isn’t it the very first time we see an official Marvel character ? Will this IronMan suite be the first to walk down Main Street ? Thanks so much for this. I’m a writer coming from Laurel, United States and what I just read here on insidethemagic.net couldn’t be said much better. Christal. He persistently kept preaching about this. I most certainly will send this stuff to him. Pretty sure he will have a very good read. I am grateful to you you for posting this. 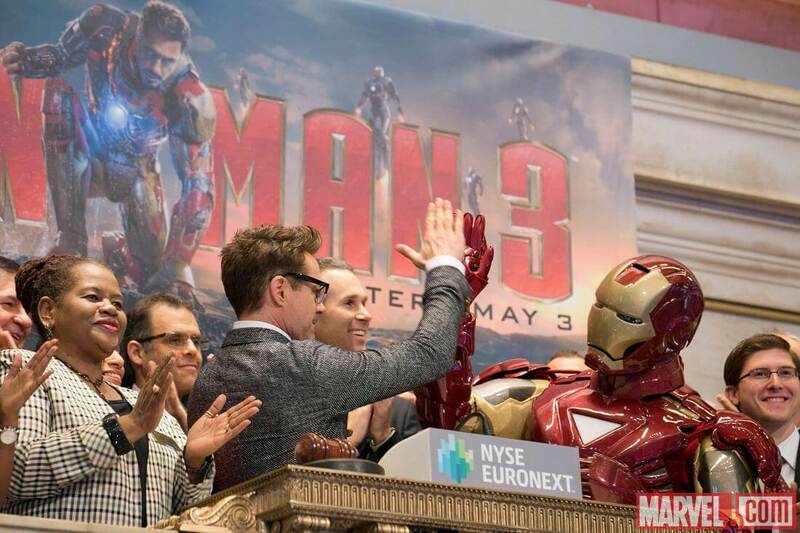 I’ve already been on the web now for about 6 today, and once I happened upon insidethemagic.net on http://www.insidethemagic.net/videos/video-iron-man-helps-ring-new-york-stock-exchange-opening-bell-with-robert-downey-jr-and-marvel-staff/, I was very pleased to.. Honestly, I think that if more bloggers and siteowners introduced content like your website, the web would be even more helpful than it already is.